How can an emerging brand deepen the connection with its consumers through sensory design? 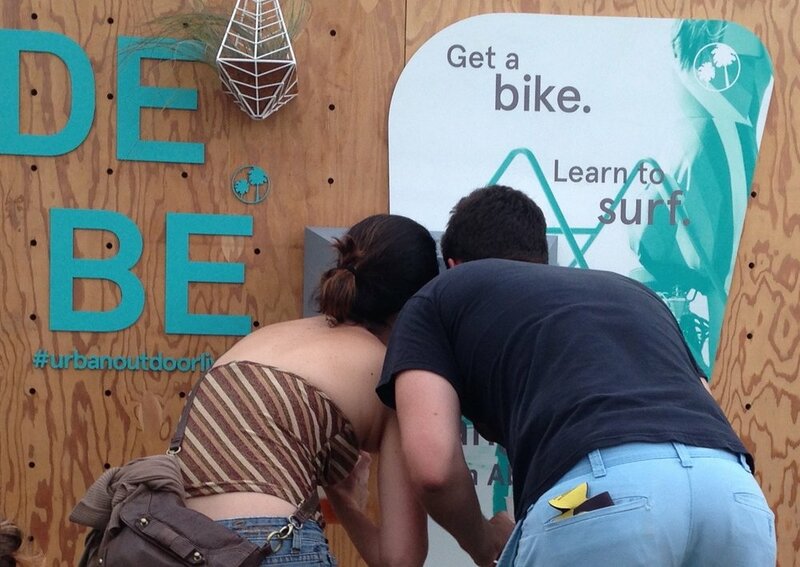 Create a sensory experience in a retail environment that delivers brand messaging through active engagement. Material sourcing and using assets to the fullest extent. Community and environmental responsibility through avoiding waste. Each touchpoint through the space drew on a multi sensory experience that reflected the brand values to ensure critical messages stick. A key element to grab foot traffic and entice them to enter the store. To capture insights to deepen relationships, the Kickstarter narrative was deployed to engage the customers. connects Ilan Dei studio and IDV. Take a load off, throw your bike up on the latest Vert Bike Rack prototype and check out the only prototype you can test before kickstarting it. Facilitate discovery, uncover the story. 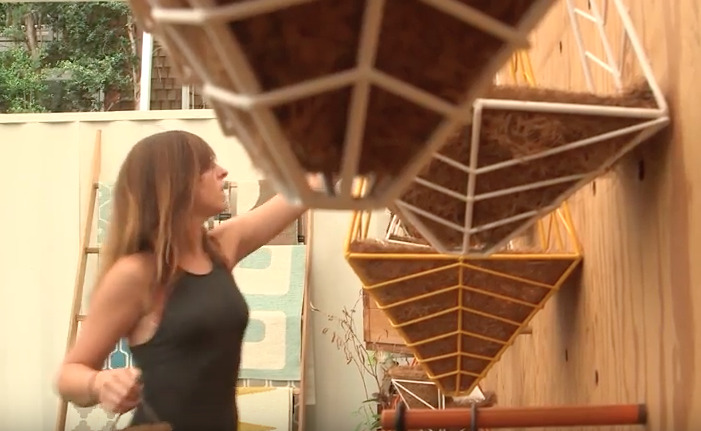 Glimpse into the video portals to connect with why Ilan Dei Studio creates, how they make it happen, and what urban outdoor living means to the designers behind the work. Reinforcing the content strategy, video portals were produced to give each brand value, Relationships, Hyperlocal and Nature Bound its own narrative. Instagrammable moments inspire active engagement, build brand awareness through earned media, and create a sense of place for the photographer, and their social networks. so many of my neighbors as I do living in Venice. IDV products inspire creativity and optimism, foster conversations and gatherings. At Ilan Dei Venice they design and make furniture and accessories for Urban Outdoor Living to inspire a life beyond the one we live indoors. All of their products are thoughtfully designed and tested in Venice, CA and manufactured in Los Angeles. They are an offspring of Ilan Dei Studio which has been designing and fabricating in Venice for over 25 years. Bringing a human centered design strategy to the project required initial research focused on understanding and ultimately aligning the needs and values IDV's internal stakeholders, existing users, and target customers. Through these multiple stakeholder interviews that main conclusion, was that nobody knows that Ilan Dei Studio is 3 blocks away from IDV and Ilan's customers do not know his brand values. Through user research we validated that IDV's look and feel resonated with their target users, but the primary disconnect was the IDV brand story was hidden. To expose IDV's brand story, key points of interaction were identified and custom content pieces around each brand value were created to bring the story to life. Relaying the content strategy, the IDV show room was organized around the brand values to support the message each one of those values represented. Leveraging the modular quality of the peg board the space was organized into vignettes enabling guests to learn more about IDV, interact with products, and provide a gorgeous backdrop for tourists and customers to capture inspiration to the store. The central tagline of IDV was displayed prominently to create a spatial call to action, and secondary messages were strategically placed inside the portals to balance messaging and give each brand value its own intimate stage. To create a complete story, each image was treated with the IDV color palette. The boards were then prepped to be easily mounted on the peg peg system for seamless installation. The peg system was already installed within the space and we used the same dimensions. Each board was given a quote derived from an interview we accused during the process. All the interviewees were local to Venice and their inspiration was to displayed within final context. To meet the needs of diverse user groups, we tested the instagrammability of each vignette. User research indicated that most tourists produced selfie content, while the customer target was focused on product focused vignettes that told a story, and photos of their children in inspiring settings. Balancing this photographic need, the space was carefully composed to facilitate as many photographic opportunities as possible. Do one, do two, do three and test again. a key part in the process. Prototyping with the user in mind reflects a commitment to customer relationships and an opportunity to learn more about the products strengths and reveal opportunities to improve the final design. It also provided potential kickstarter backers the opportunity to engage with the product before committing to supporting it and demonstrates the studio's passion for making the best product possible. The importance of project scoping with multiple stakeholders and collaborators working on the project. How difficult it is to connect with your users when you are sourcing users from your personal network. How to test human centered design in the context of space through prototyping and testing with users for feedback to quickly iterate on the design. At the launch event we did not have a good plan in place to collect the data from customers to take back and synthesize. There is an opportunity to plan better in the future. Install power to the portal wall to allow for the videos to play without using battery.